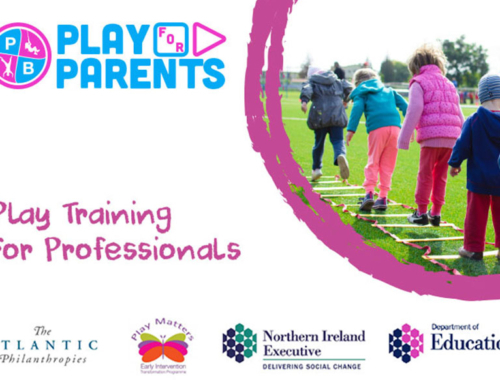 Children have an innate urge to play from birth right through to teenage years. 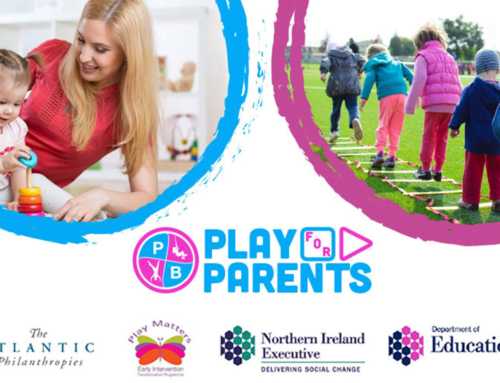 Freely chosen play (play which is directed by children) is critically important for all children as part of their everyday lives and access to quality, unstructured play is known to help improve children and young people’s overall health, well-being and development. 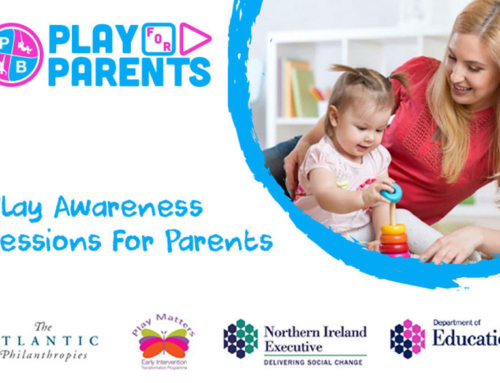 Have you ever watched a child receive a beautiful shop bought toy which they eagerly open, look at and explore and then proceed to play with the cardboard box or wrapping that it came in? That cardboard box can become anything, a den for a dinosaur, a garage for cars, something to put things in and out off or a hat or helmet! 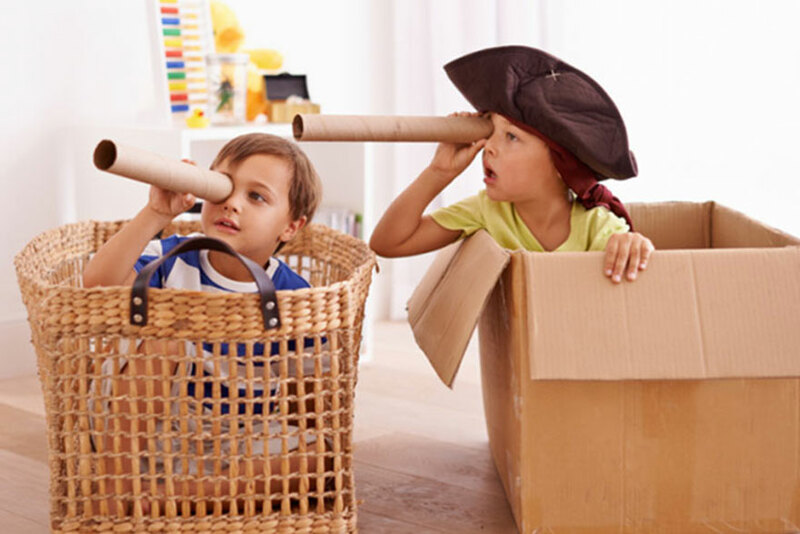 With a little imagination cardboard boxes (both big and small) will transport a child into a world of fun. Good quality play need not cost anything except time. Your home, your garden, the outdoor environment are all full of ‘stuff’ that can be used for play. Often babies and children will play with whatever is available to them. An old handbag, Mum or Dads shoes, a bunch of keys, old fabric to make a den, pots and pans, a bucket,… the list is endless! It is not always necessary to purchase shop bought toys – often homemade/found resources will hold endless fascination and fun. During play – Loose Parts1 are materials that can be moved, carried, combined, redesigned, lined up, taken apart and put back together again. They are materials with no specific set of rules and provide children with high levels of flexibility and choice. There are endless possibilities for how loose parts can be used and there is no right or wrong way to use them. You will already have so many natural ‘loose parts’ around your home or garden so let your children add a little curiosity and imagination and you will find endless opportunities for fun filled play. Younger children (toddlers and babies) have a natural curiosity about the world and they are drawn to all kinds of ‘stuff’ around them. Whilst some larger loose parts would not be appropriate for babies or toddlers a smaller collection of natural objects can be a great source of enjoyment. A treasure basket – which is quite literally a basket filled with natural materials found around the home – can happily engage young babies and toddlers for long periods of time. A treasure basket can include ribbon, a clean dry fir cone, a small mirror, a large shell, a pumice stone, a small natural sponge, a little tin filled with pebbles, a wooden massager, a beaded necklace or bracelet, a piece of foil, a large pebble, crumpled tissue paper, scraps of fabric, a ball of string, a wooden comb, a shaving or pastry brush, an old shiny cd…. etc. Change some of the objects regularly to keep the basket interesting and fresh to play with. Choose ‘stuff’ carefully appropriate to the age and stage of the child and avoid small items witch can pose a choking hazard or be poked into the nose or ears. Regularly check all items carefully. When children choose ‘Loose Parts’ that ‘stuff’ can become anything they imagine it to be. There is no right or wrong way to play with ‘Loose Parts’ and ‘stuff’ can be gathered and replaced easily and usually at no cost. 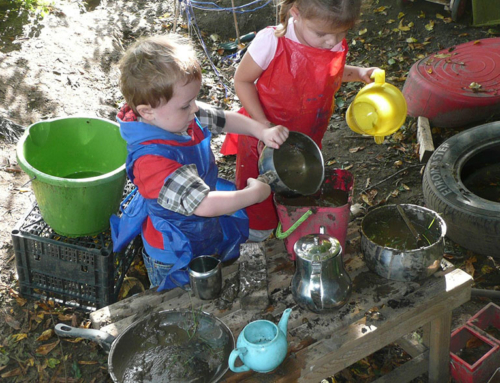 Objects can be found indoors or out and children may naturally gather their own ‘Loose Parts’ whilst they play. So think twice about throwing away that old packaging or household item and think instead of the play opportunities it could create! Loose Parts should be adapted to suit the age and stage of the child and checked regularly.